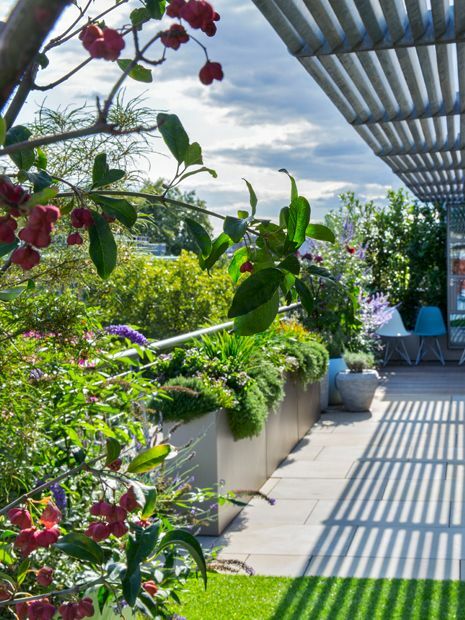 While the effects of global warming resonate in every aspect of modern life, our gardens and roof terraces growingly fulfil respite, shelter and wholesomeness with diverse planting schemes, liveable amenities and sheer optimism. 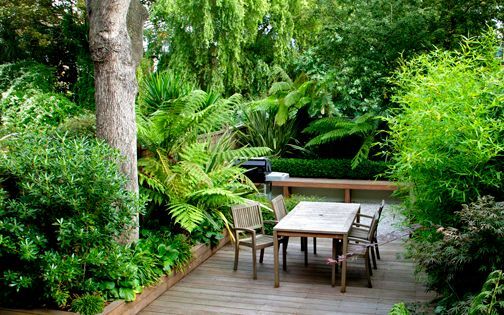 The before and after images of these modern garden makeovers pertinently imbue their owners' charismas, designers' passion and maintainers' aptitude to artistically portray the pizzazz and architectural panache of outdoor living in London. Since comprehensive garden design transformations entail thorough planning, meticulous detailing and project management expertise, the assurance and flexibility of an in-house design & build crew, with its integral construction knowledgeability, ecological awareness and on-trend nuances, infuse alfresco vitality no matter what style or genre is sought after – the pure hallmarks of truly personal and enduring modern garden makeovers. 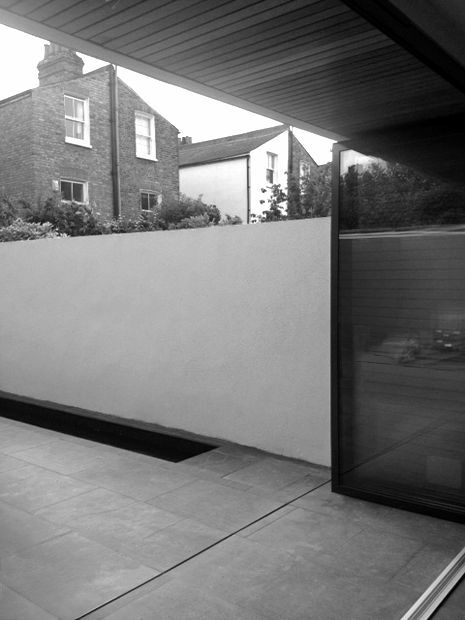 Context: west-facing, mid-terrace house renovation, 36sqm back garden with a roof terrace and indoor atrium, London SW6. 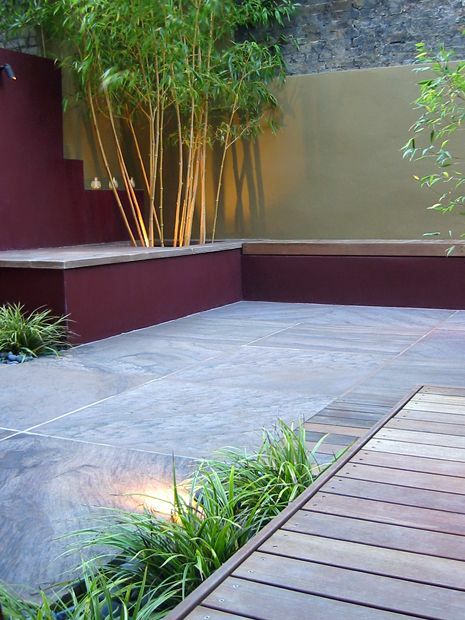 Makeover: indoor-outdoor tiling contrasted by a hardwood deck, built-in bench and Cedar privacy screens, deciduous architectural trees for seasonal variety augmented by evergreen sedges and tall Bamboos. 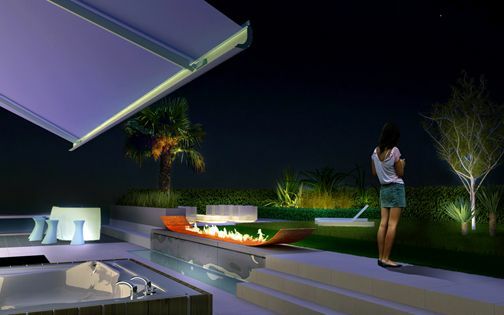 Focal point granite waterfall and pool, alongside modern sculpture, surrounded by new, rendered courtyard walls, and accentuated with LED lighting. 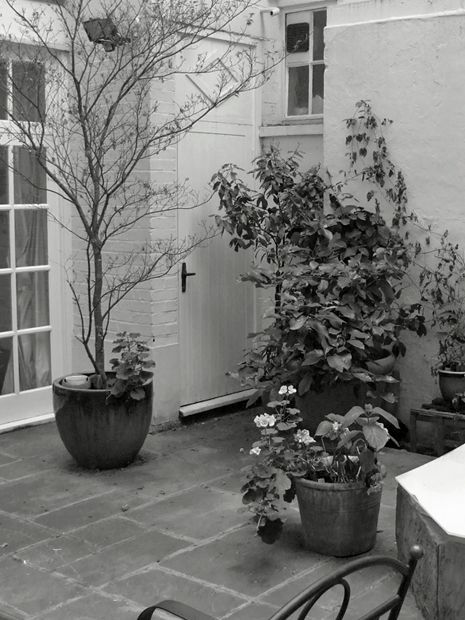 Context: internal courtyard, basement apartment, 43sqm, London W1. 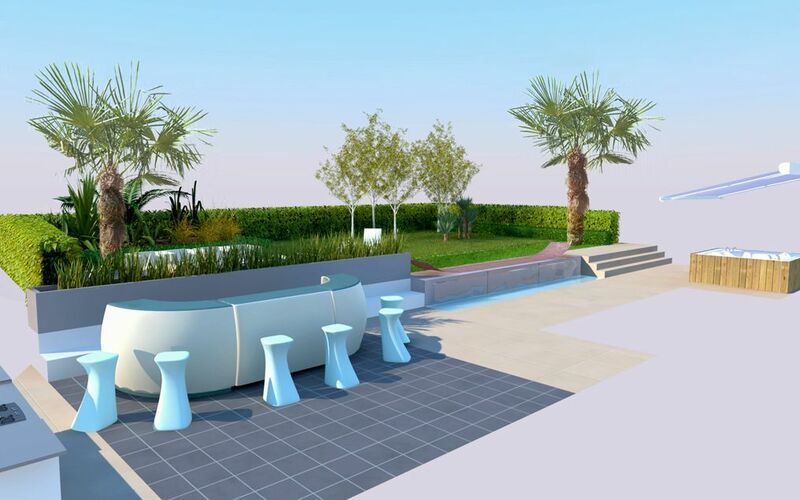 Makeover: porcelain tiles patio, artificial grass play area, green wall with a Western red cedar frame, Box topiary and low hedges, custom-made planters, Japanese maples, Sweet flags, Ferns and architectural Wheel trees, outdoor lighting, electric heaters, automatic irrigation. 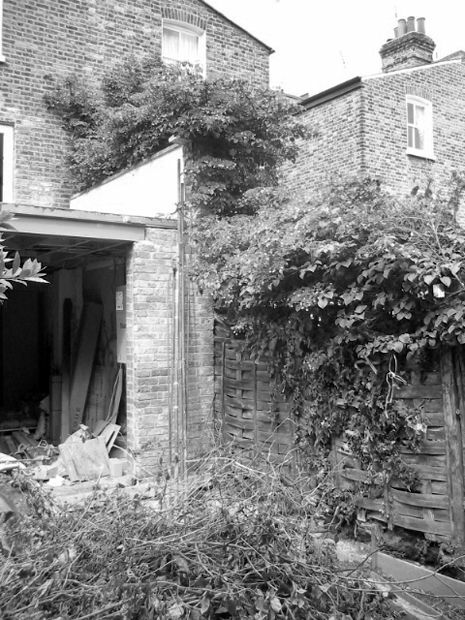 Context: west-facing, detached house in a private woodland, 1st floor rooftop above a parking space, 40sqm, London N6. 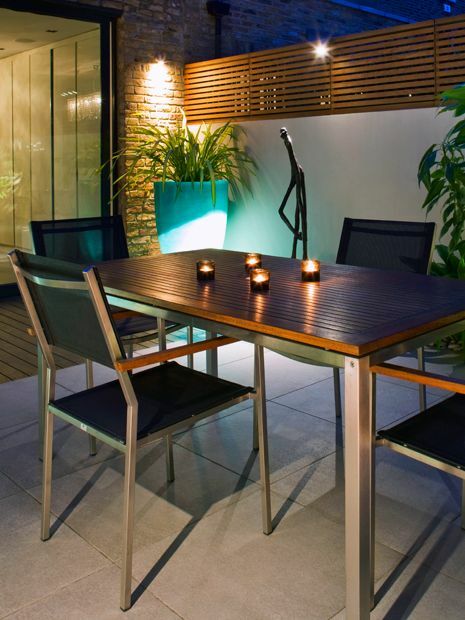 Makeover: outdoor built-in barbecue with stainless steel detailing and a fitted blue slate countertop, hardwood decking and buff sandstone highlighted by LED strip lighting, bespoke planters, deciduous species including a multi-stemmed Paperbark maple tree, fragrant Wintersweet and Harlequin glorybower, custom-built Balau slatted screens, sound and heating. 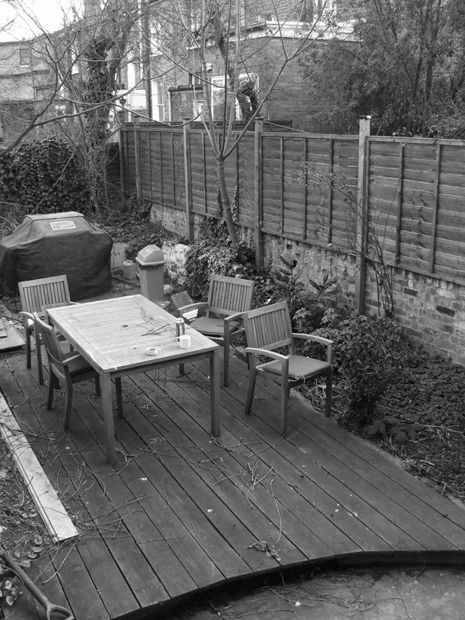 Context: end-of-terrace modern townhouse, 40sqm back garden, London N5. Makeover: a unique conservation of existing, mature Palm tree specimens, juxtaposed with an angular layout of limestone and granite surfaces, highlighted via LED strip lights, and contrasted by a sinuous, powder-coated steel bench and bespoke, tall vases. 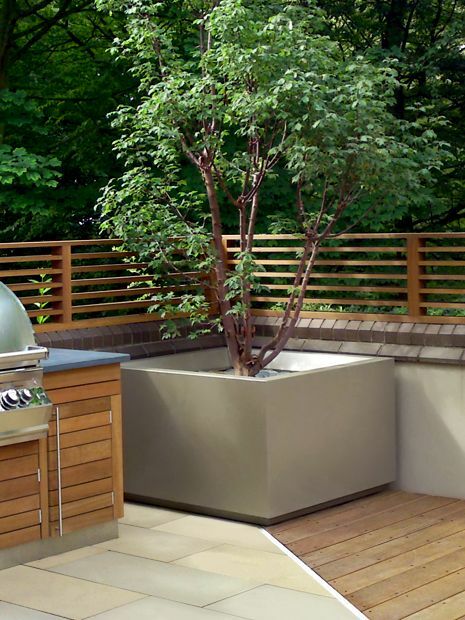 Further layering with architectural trees, including Tibetan Cherry, surrounded by evergreen Jasmine climbers, grasses and Bar room plants. 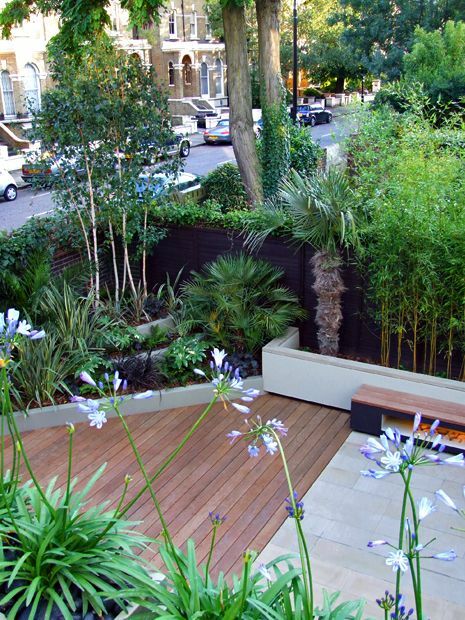 Custom Cedar screens, synthetic grass, contrastive colour scheme, irrigation. 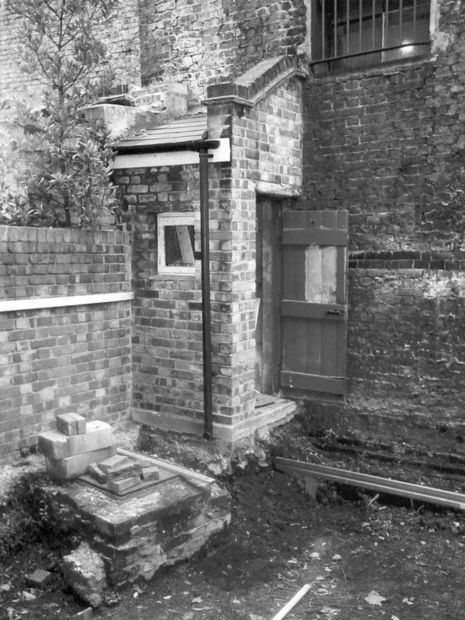 Context: Victorian terrace house, 25sqm patio garden secluded by high courtyard brick walls, London N1. 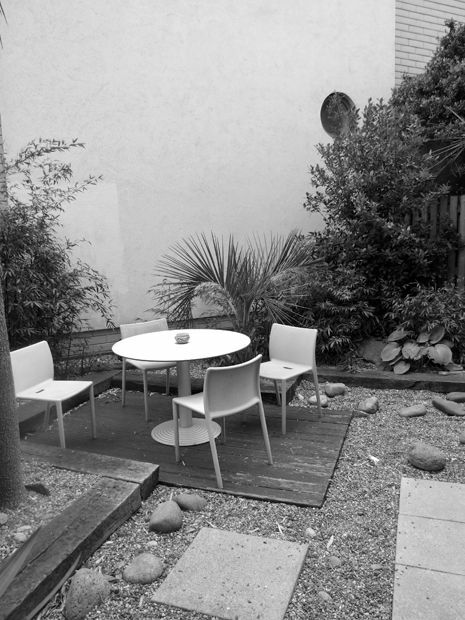 Makeover: specially quarried, one-metre-square Derbyshire lilac flagstones aligned across a stack bond grid, augmented by a minimalist, bold colour scheme. 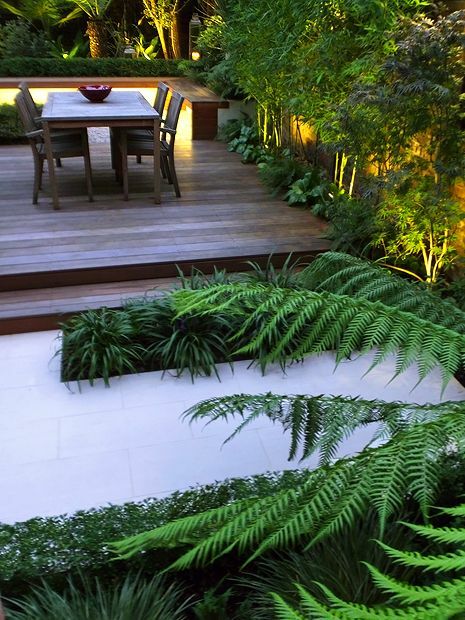 An understated, evergreen palette of sedges and yellow Bamboo, alongside built-in concrete and wood benches within a wrap-around seating outline. 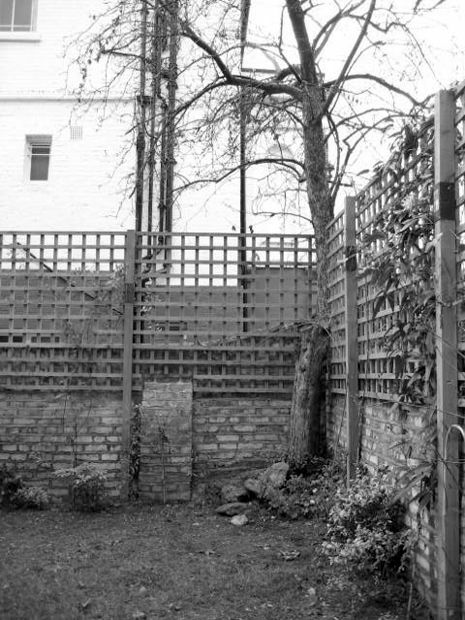 Context: south-west facing, conserved gatehouse, 40sqm courtyard garden, London NW3. Makeover: asymmetrical layout, balanced by an Ipe hardwood decked dining area and a large waterfall pool featuring a floating Palm tree focal point. 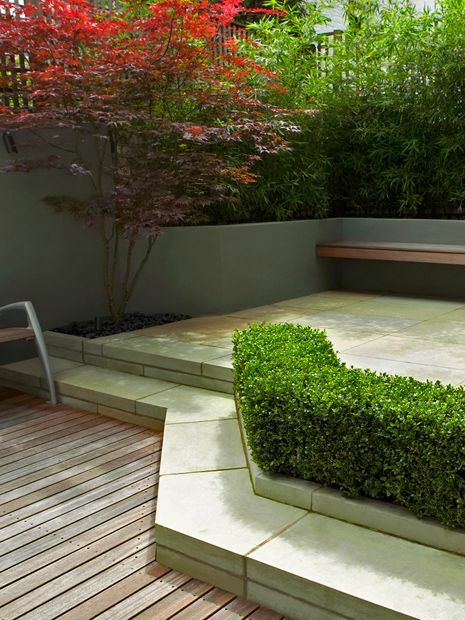 Rendered raised beds with integrated bench seating, defined by grey limestone paving and a low-key colour palette. 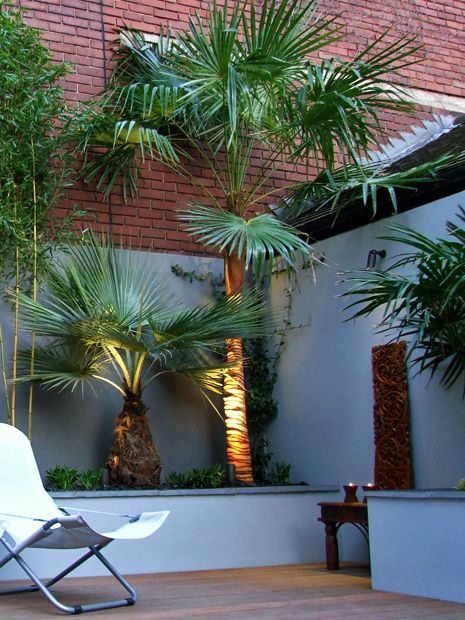 Lushly exotic, subtropical planting in a Balinese style scheme, enveloping a lively, alfresco entertainment space for twenty guests. 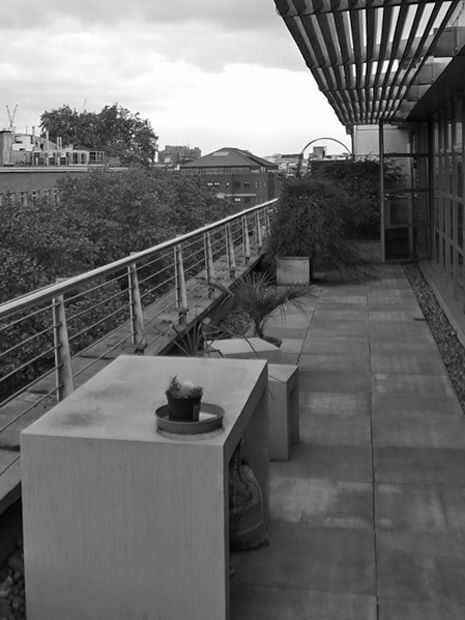 Context: 5th floor city penthouse apartment, 65sqm across 3 roof gardens, London EC1. Makeover: sandstone, hardwood and artificial grass flooring, bespoke troughs, architectural native trees, windbreak evergreen hedges, herb, alpine, fruit and kitchen gardens. 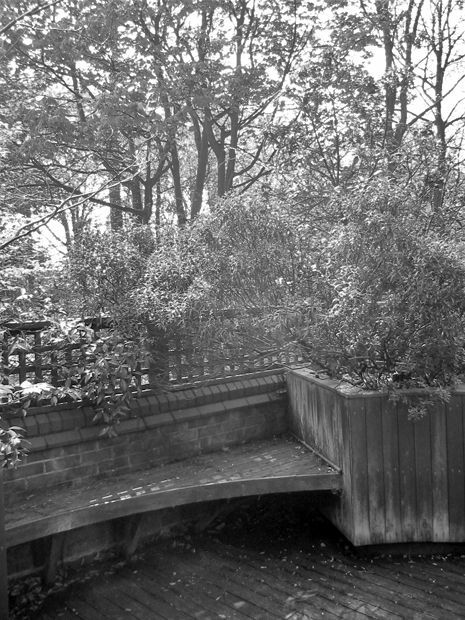 Wildlife friendly plant species sustaining seasonal interest and biodiversity, interwoven alongside a viewing platform towards nearby landmarks. 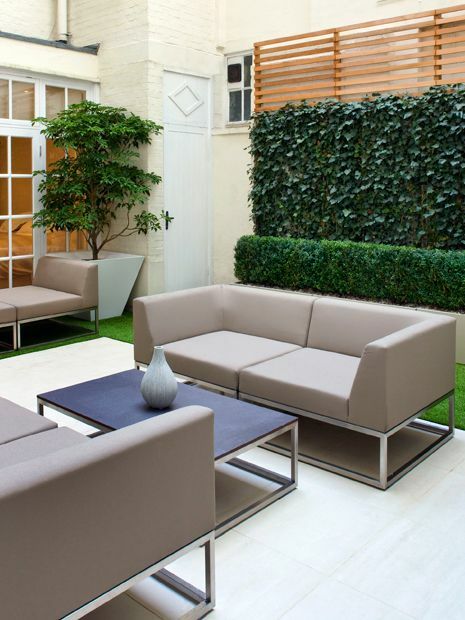 Context: 4-storey terraced house, 35sqm patio garden with a further roof terrace and front garden, London NW3. 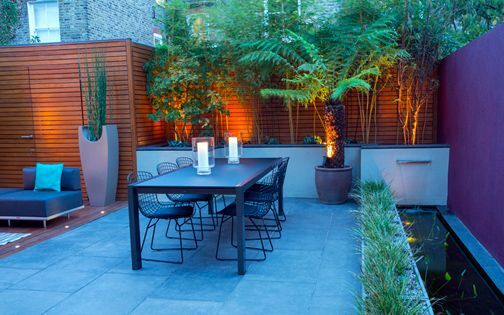 Makeover: buff and blue, smooth Yorkstone paving across a minimalist, split-level grid with angular steps, a Box hedge partition and lower decking. 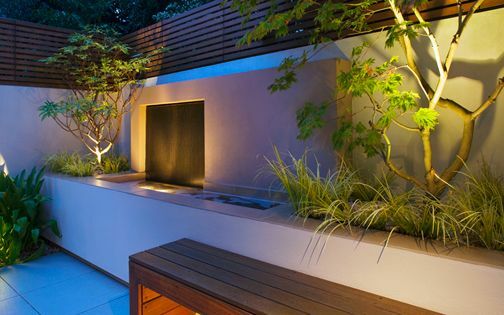 Raised and hollowed planting bed supporting a cantilevered bench, illuminated by integral lighting, and infused with Japanese maples and Bamboo. 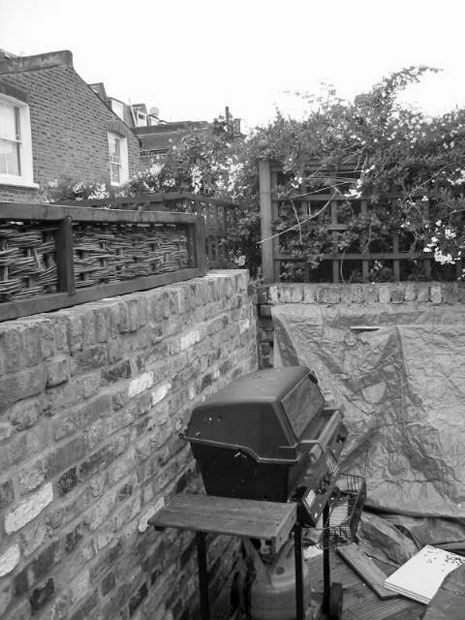 Context: south-west facing, end-of-terrace house, 80sqm back garden with a further roof terrace and front garden, London NW8. 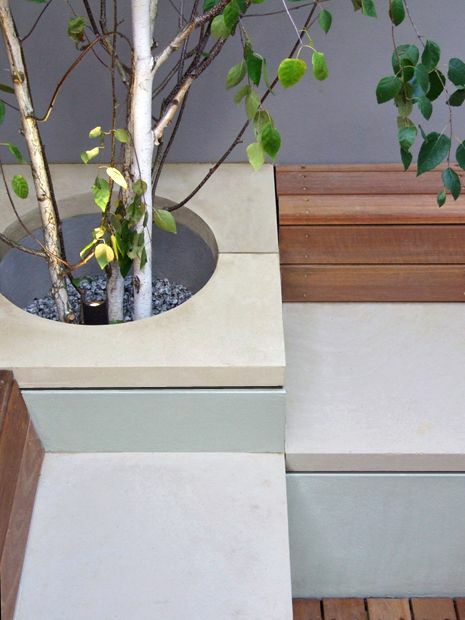 Makeover: 300 x 900mm buff sandstone pavers, Ipe hardwood, bespoke benches, planters and a two-tiered waterfall, floating raised beds with recessed coping. 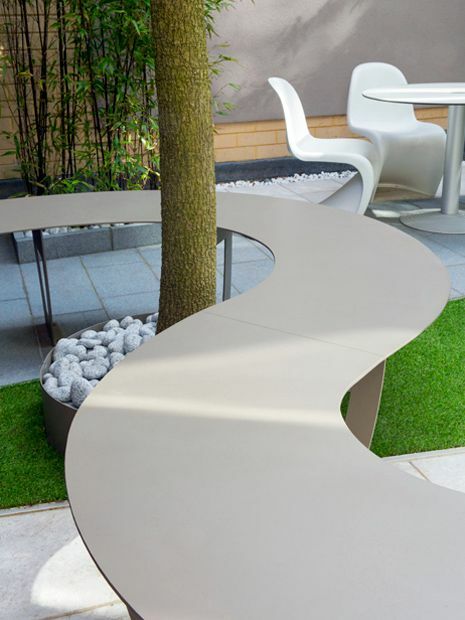 Multilayered scale, textured foliage and sculptural focal points interspersed through Silver birch, Eucalyptus, Japanese maple, Palm and Strawberry trees in a highly contrasting colour scheme. 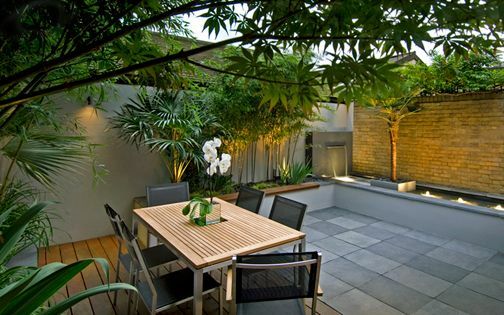 Context: south-facing terraced house, modern extension, 50sqm back garden with a roof terrace and front garden, London SW4. Makeover: indoor-outdoor surface fluidity through bi-folding doors with basalt paving and hardwood, built-in outdoor fire oven, concealed storage and bar area, raised beds, waterfall rill, sculpture wall, architectural planting, custom-designed troughs and tall curved vases, automatic irrigation, remote-controlled lighting and a surround sound system. 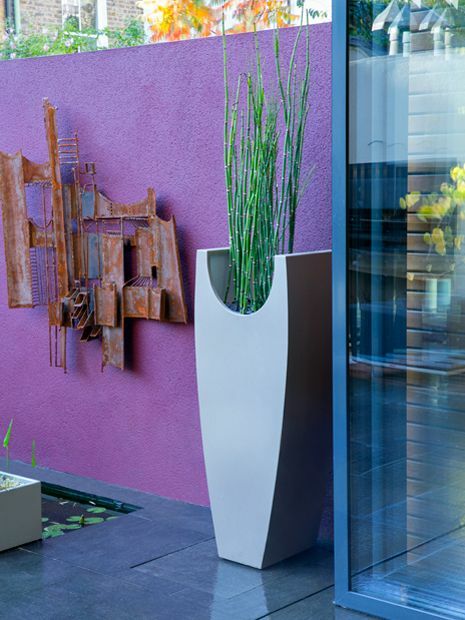 Whether expressed through understated minimalism, upbeat visual syncopation, or pure foliage lushness, the bespoke gardens, rooftop terraces and landscape transformations which reflect modern home makeovers paramountly distil vital well-being and low maintenance lifestyle prerequisites with contemporary outdoor trends. 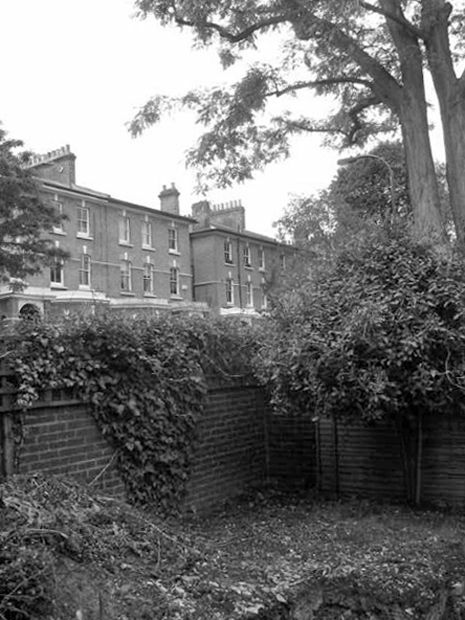 Invariably extended, lengthened and widened, the London residences which aggregate this truly eclectic, architectural canvas are intrinsically intertwined via a matrix of renovation projects – frequently due to sheer necessity, while at times steered by design ephemerality. 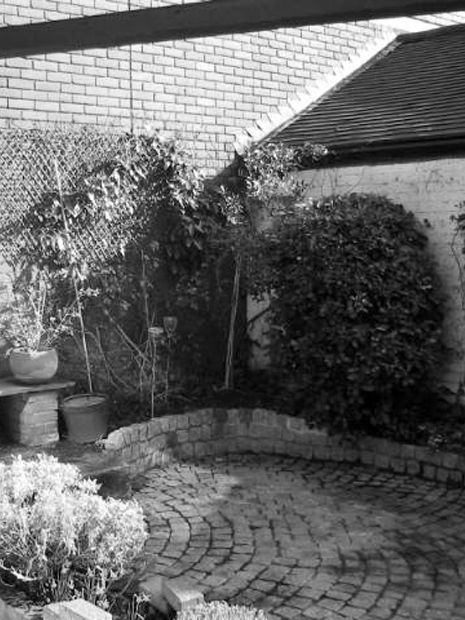 Yet, no matter what impetus may drive these unique refurbishment endeavours, the pertinence of their liveability factors and owners' penchant for individual distinction, design elegance and alfresco urban living doubtlessly convey the ingeniousness and essential durability of well-crafted, innovative garden design makeovers!